High school dropout rates on the reservations range from 30 to 70%. PWNA serves remote locations most organizations cannot reach. PWNA provides consistent for Native Americans with the highest need in the U.S. Learn more. PWNA has over a 25-year history of working effectively with diverse Native cultures. 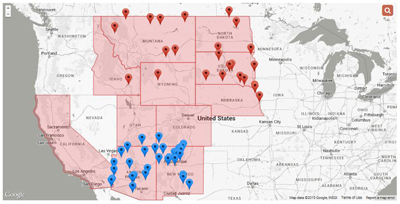 Our services benefit the majority of the reservations in South Dakota, North Dakota, Montana, Wyoming, Idaho, Nebraska, Arizona, New Mexico, and Utah. We also have a few partners in southern Colorado and southwestern California where our services fit the needs. We also serve Native American students from the 50 states with our scholarships service. with limited access to resources. PWNA adapts to the tribal community, rather than the other way around. Respecting the familiarity of Program Partners with the needs and people in their communities is key. 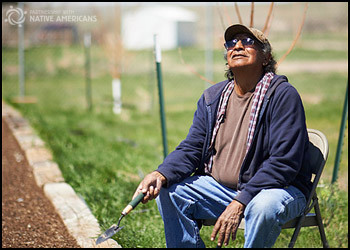 PWNA cares about quality of life for Native Americans and respects their self-determined goals for their tribes, honoring the reservation programs and initiatives underway. PWNA supports the local leaders who can drive positive change in their communities. 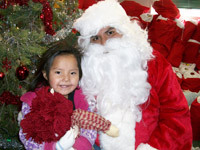 PWNA assists Native American communities with material aid, education services, professional and personal development and community investment projects. Regardless of a partner’s focus — short-term or long-term — each PWNA service incorporates a capacity building component to ensure our partners gain in skills that carry over to other reservation projects. PWNA delivers the right goods — the requested goods — to reservation partners at the right time and way. Many charities simply deliver goods to a location and leave, or "dump and run." When charities do not work repeatedly in the same communities, they may not know the adverse impact this can have. We feel this form of service is irresponsible and may create more harm than good for the community. By delivering only requested goods, we ensure the food is eaten, the shoes are worn, and the clothing fits. This is good stewardship. It encourages trust and future participation by Program Partners and the people they serve. Our broad scope of services helps us match the needs of most any reservation program. We provide food to soup kitchens, till gardens for people to grow their own food, supply baby baskets to new moms in need, give school supplies and holiday gifts to children, and much more. 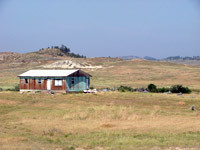 PWNA offers steady, solid service to remote and isolated Native American reservations 52 weeks a year. Reservation partners volunteer to work with PWNA to enhance tribal communities. We understand that relief efforts succeed to the extent that the people in the community have a vested interest in them. More than 1,000 reservation Program Partners volunteer and recruit additional volunteers to work in their communities. Native Americans also volunteer in our warehouses, working for the good of others in their community and earning material goods and incentives from PWNA for their efforts. Passion is always in stock at PWNA. Our staff, board members and volunteers are passionate about supporting our Native American partners and their community-led initiatives to achieve a better quality of life.